We had a pretty big day yesterday – we went hiking and fishing in Snoqualmie National Forest and then had dinner with the friends we went hiking with. We also watched ‘Sharknado’ afterward… I am assuming that that film was meant as a joke. And that’s all I’ll say about that! After the necessary sleep-in this morning, nothing sounded better than a poached egg on toast, with maybe a little salt or Tabasco – a dash of Tabasco is okay for me. 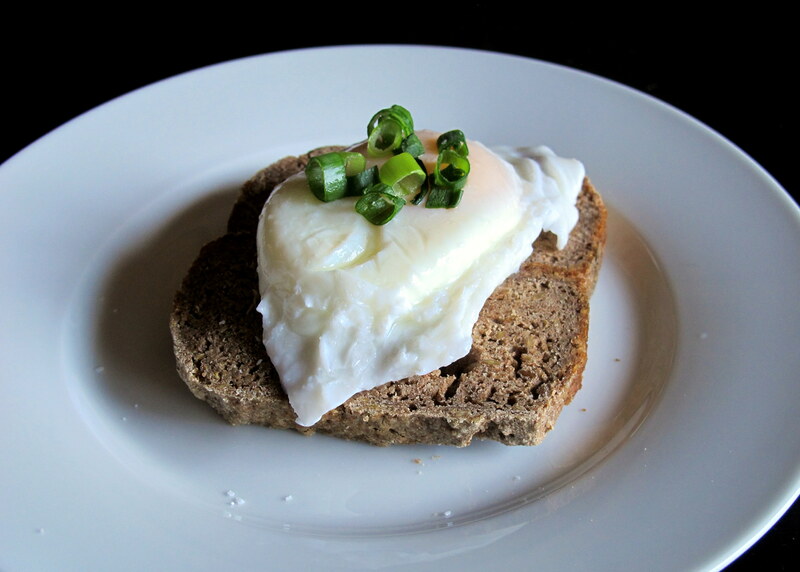 There are many fancy ways to poach eggs that I’ve see all over the internet but this simple way works for us – no photos, I’m sorry, I was so tired I forgot. Fill the fry pan with water and bring it to the boil. Put in a dash or two of vinegar and then lower the temp so that it is only just boiling. Crack your eggs into the slowly boiling water, they should be submerged so that the tops can cook as well. Don’t cramp the eggs – we fit four eggs in our largest fry pan, which is about 30 cm across. You could also use egg rings to contain them and squeeze more in, if you wish. Set the timer for 2 minutes. This should produce cooked egg whites that aren’t rubbery and delicious, runny egg yolks. Don’t ever tell me that cooked yolks are tasty. They are not. Meanwhile, you should have been toasting your GF or FF bread of choice. Once the egg whites look completely cooked – no wateriness left to them – remove them from the water with a slotted spoon and let them drain for a few seconds before placing them on the bread and garnishing with the chopped green stems of chives, which are much lower in fructans than the white parts/bulbs of the plant. This entry was posted in Breakfast, Lunch, Tips and Tricks and tagged breakfast, brunch, bush walking, dinner, fish, fishing, FODMAPS, food, fructose friendly, fructose malabsorption, gluten free, healthy, hike, hiking, home-cooked, homemade, low fructose, low sugar, Seattle, Snoqualmie, vegetarian. Bookmark the permalink.